Yikes! We’d hate to see the size of the hen that laid these whoppers! Constructed of tough weatherproof plastic, this giant plastic egg can add beautiful color to your yard. Jumbo plastic egg measures 15″ long, with a 14″ diameter. This extra large plastic Easter egg comes in assorted colors; we’ll choose for you. Made in the USA. Express shipping not available. This Easter egg hunt kit makes it easy to set up an old-fashioned Easter egg hunt—giving your family sweet memories no basket can hold! 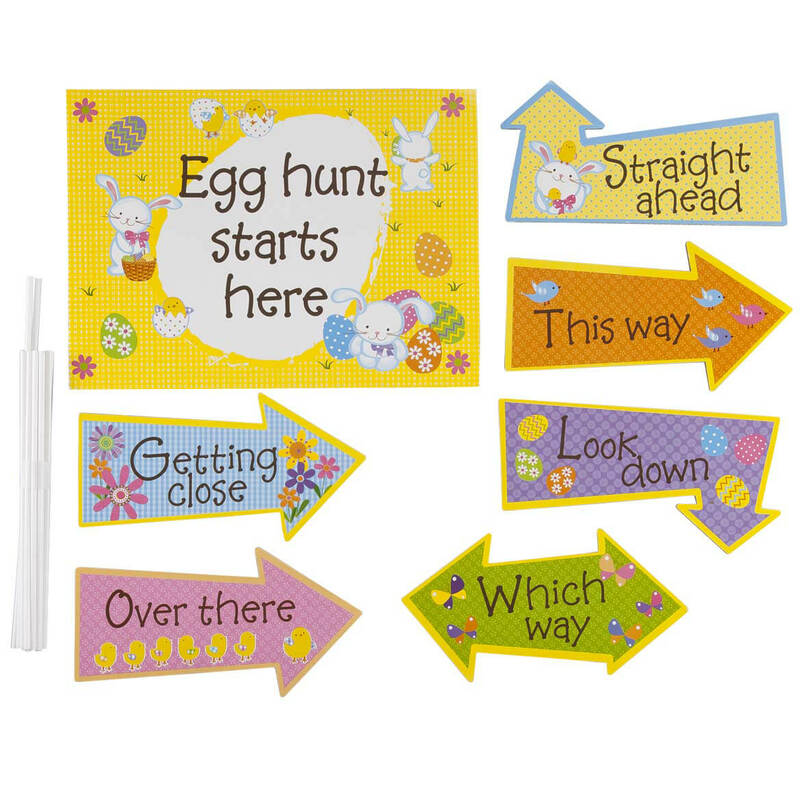 Crafted of thick, durable cardboard to use every Easter, the kit’s bright, artful signs help you create your own egg hunt path, suiting any space, indoors or out. Kit includes one large sign (8″ x 11″), six pointer signs (7″ x 3″) and 14 sticks (8″ high). Each Easter egg hunt sign uses two sticks, which easily stake in the ground outdoors, or into flower pots or styrofoam blocks indoors. Simply hide your own eggs, round up the hunters, and start a holiday tradition! Instructions included. SMALL PARTS. Not for u003c 3 yrs.